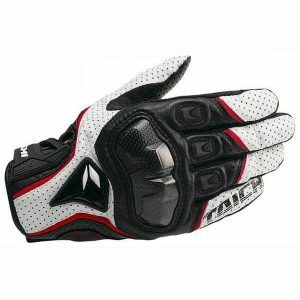 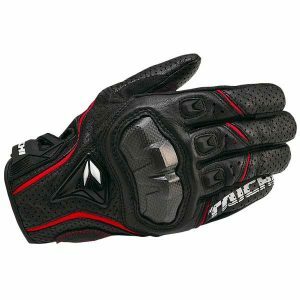 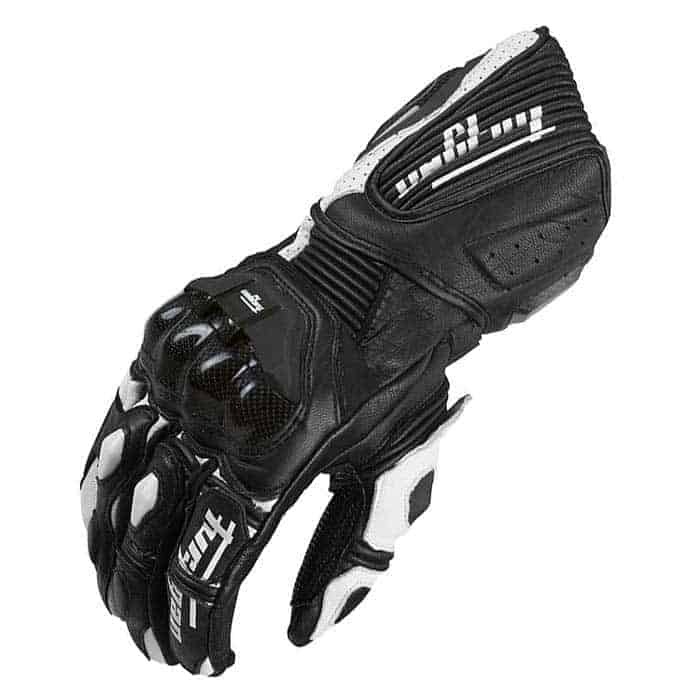 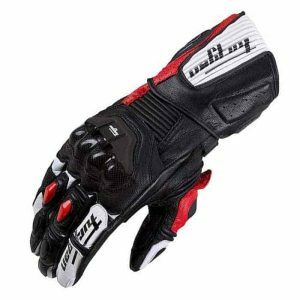 The Furygan AFS-110 Motorcycle Racing Gloves are a top of the range pair protective gloves from Furygan. 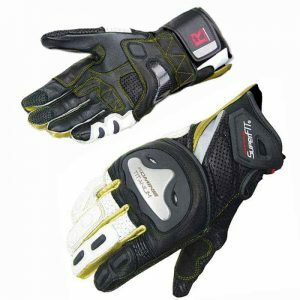 They’re made from goat skin leather and reinforced with a skin protect lining which uses aramid to reinforce leather products in terms of abrasion resistance and minimising tearing. 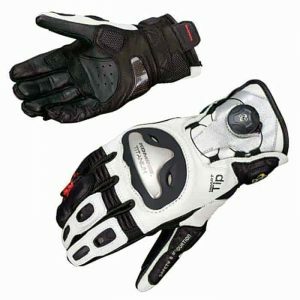 The external protection shells offer reinforcement for the metacarpals, palm, scaphoid, fingers and side of the hand, these are further helped with the double layer leather and foam on the palm, side of the hand and fingers. 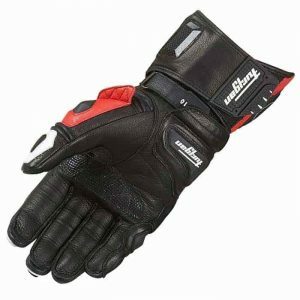 The little and ring fingers are held together with leather to minimise the risk of fractures and the whole glove has been pre shaped to offer a high level of feeling on the handlebars. The Air Flow System developed by Furygan provides optimal breathability through air channels positioned on the top of the hand, and perforations in the leather allow for optimal air flow but not loss of protection. 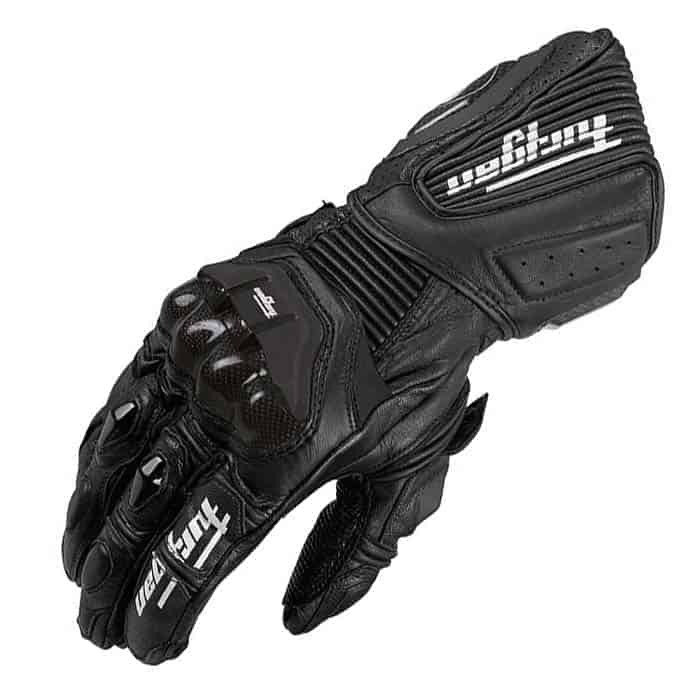 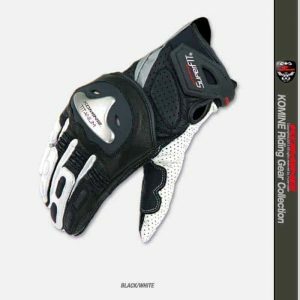 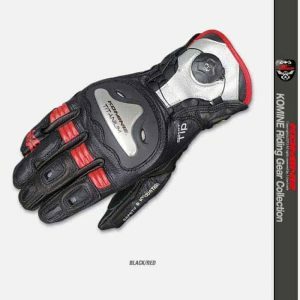 There are double cuff/wrist adjustors, stretch inserts and articulated metacarpal protection, all in all the Furygan AFS-110 Motorcycle Racing Gloves is a great pair of gloves that offers a huge level of protection as well as comfort.